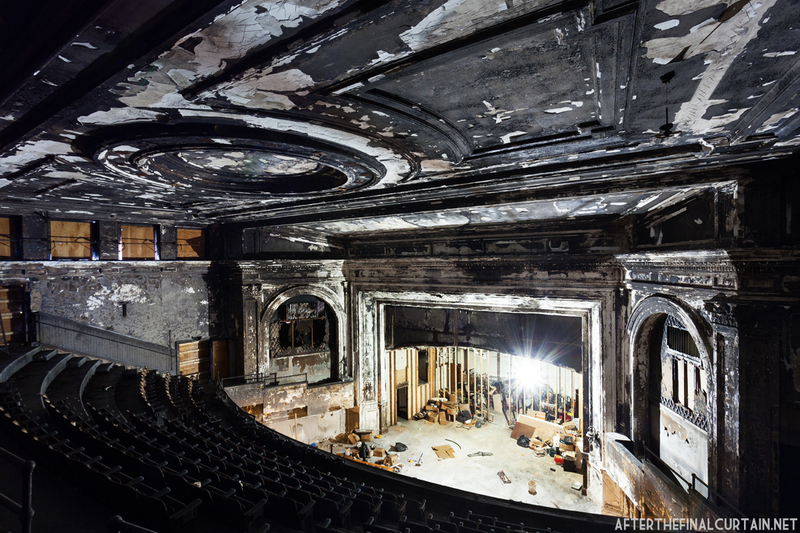 Most of the white paint in the auditorium has turned grey due to the fire damage. The opening day acts consisted of “Behind the Scenes” (a silent film starring Mary Pickford), two vaudeville acts, an organ recital and musical selections by the Franklin Park Theatre Orchestra. 18 police officers were needed to control the crowds on opening night. 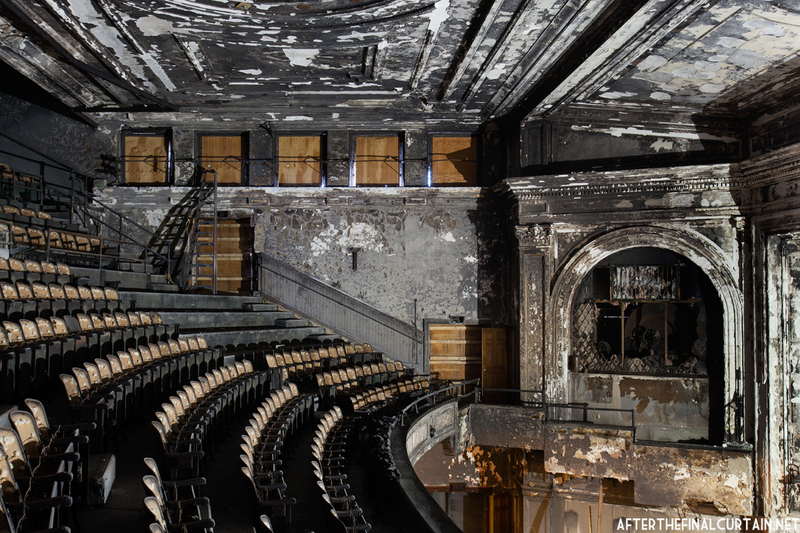 Around 3,000 people arrived to attend, but the theater could only seat 2,000. 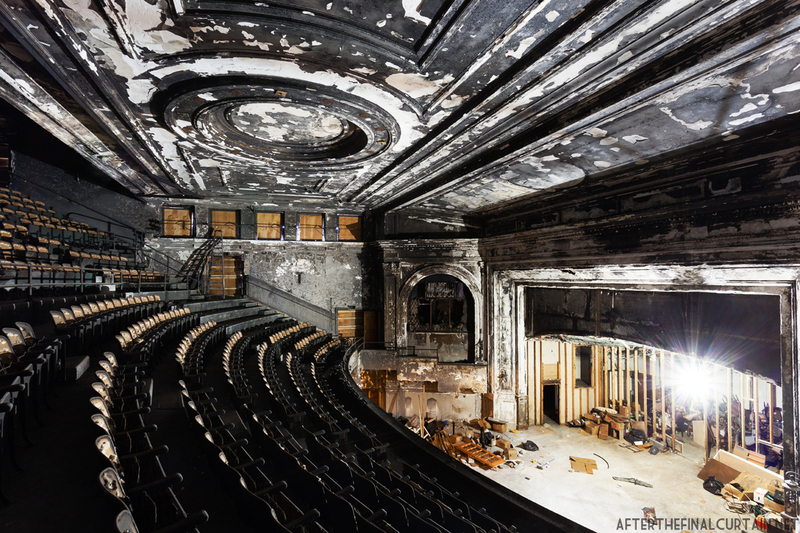 The seats on the main level were replaced with pews when the theater was converted into a church. 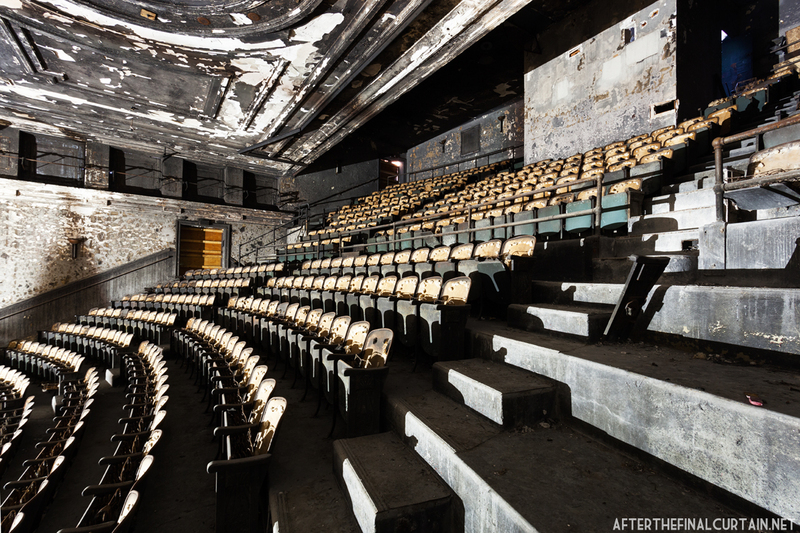 The theater closed for the first time in the late 1920s. It was reopened in October 1929 as a Yiddish theater, and was promoted as “the only permanent Yiddish theater in New England.” The slogan was most likely true due to the sponsoring of productions by the Yiddish Playwright League Inc., a group that many Yiddish playwrights of the era belonged to. M&P Theaters took over the Franklin Park in 1936, and after some alterations the theater reopened as a motion picture house on September 6, 1936. One such alteration was the installation of then modern seats, which reduced the total number of seats to around 1,500. 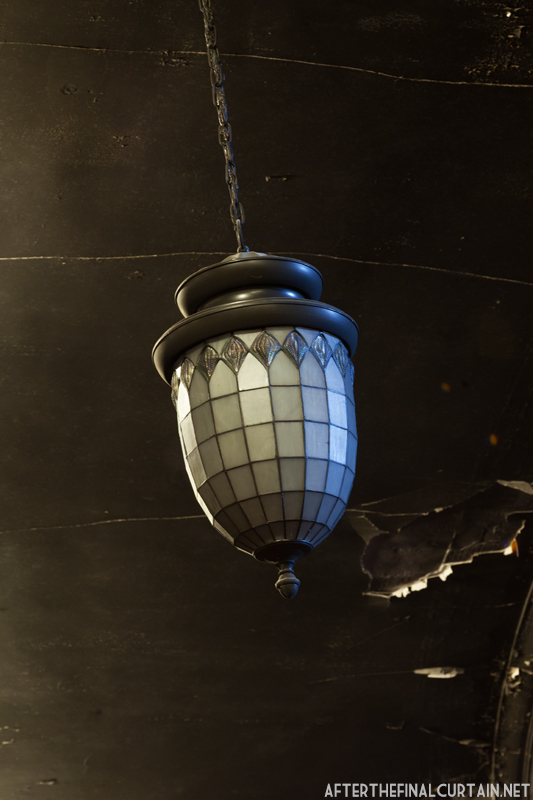 This tiffany lighting fixture is original to the theater. 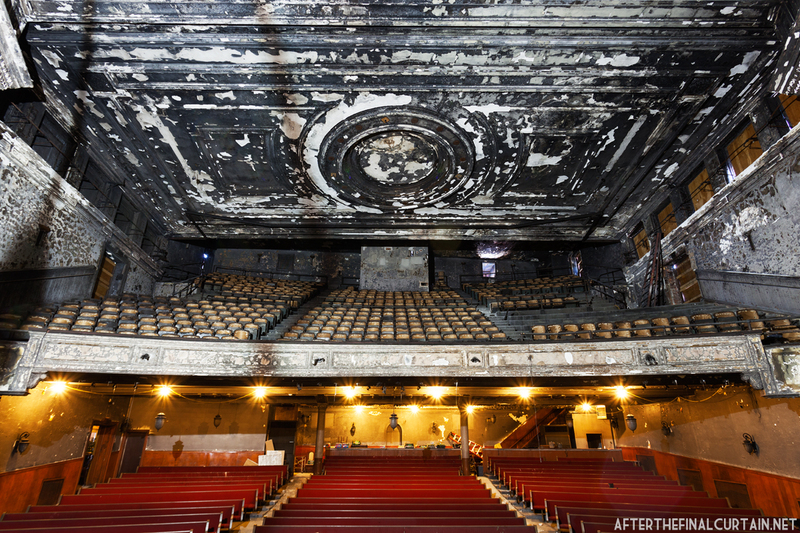 In the 1950’s the theater switched formats and began showing theatrical productions as well as musical acts. 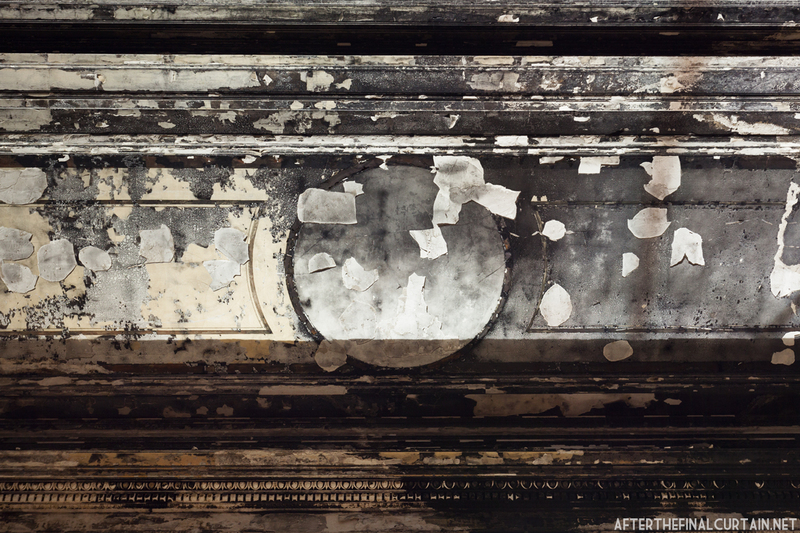 This lasted until 1963, when the space became the home of the New Baptist Fellowship Church. Live acts later returned to the theater when in the late 1960s Elma Lewis, who founded the National Center for Afro-American Artists, booked operas there. While the Franklin Park Theater was open, it was robbed several times by such local, notorious groups as “The Box Office Boys,” “The Polite Bandits,” and my favorite, “The Toothbrush Twins.” One of the thieves, Edgar W. Cook, was eventually sentenced to 19 years in Alcatraz Prison for his crimes. 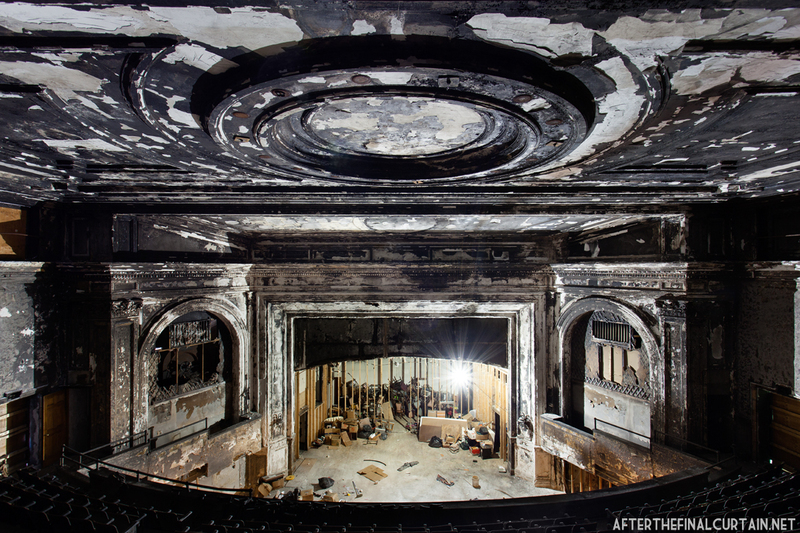 On February 21, 2009 a fire caused $250,000 of damage to the theater. 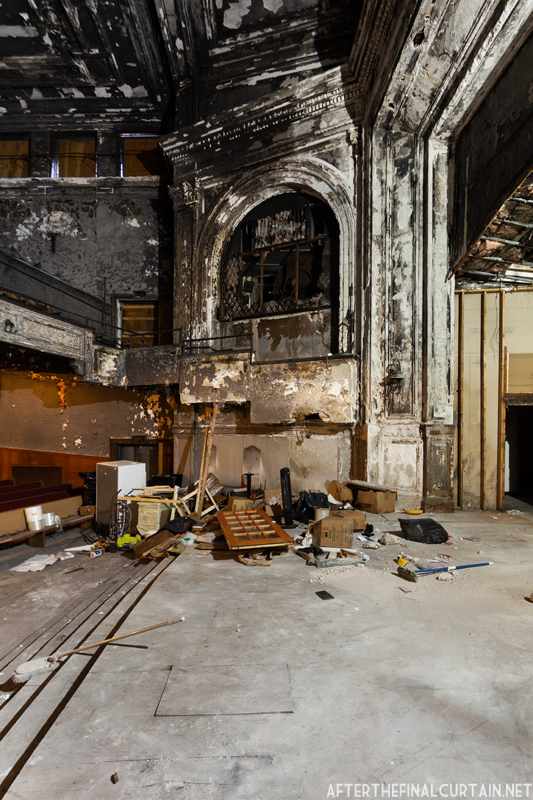 Boston fire investigators ruled that arson was the cause, based on the fact that the fire appeared to have started in multiple locations, including the stage, and that a back door was left open. 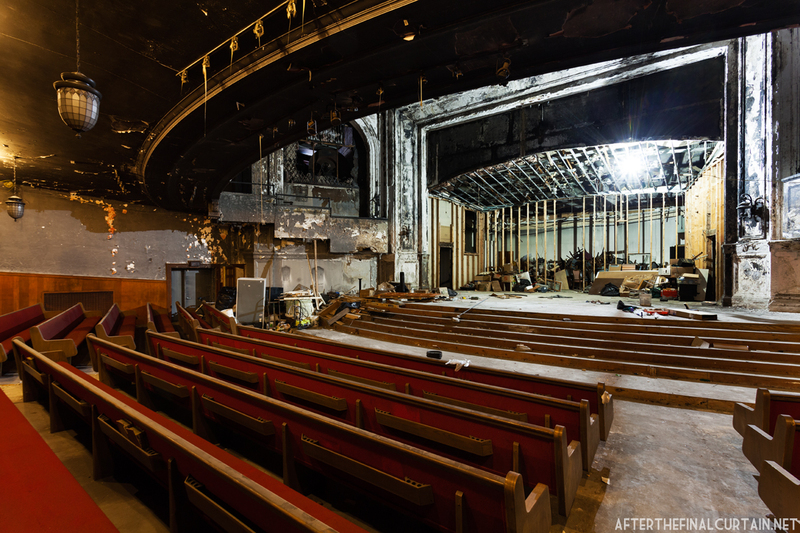 Luckily, the church was insured, and they plan to rebuild the theater. To this end they have held a number of fundraising events, and until the restoration is complete the church services are being held in an adjacent building. The box seats were removed in the early 1960s. Great photos, I love this site. Did you get up in the projection booth? Was there any equipment left there and if so, did you get any photos of it? I did get in the projection booth, but it was being used for storage and there was no equipment left.